This week we are SO THRILLED to announce that our brand new high school curriculum is up and available for purchase and use! 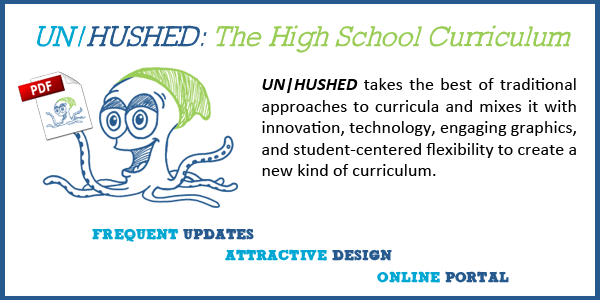 UN|HUSHED: The High School Curriculum, by Karen Rayne, PhD and Kirsten deFur, MPH is available exclusively through our online portal, accessible when you are logged into your account. This allows the authors to add activities and update information as new statistics, medical information, contraception, social media, and more become relevant to the sexuality education context. As new handouts, links, and resources become available, subscribers will receive emails alerting them of these updates. Each session is based on a social justice model which was created through the British Columbia Teacher’s Federation (you can download the model for free here). Visit our store to subscribe to the curriculum.